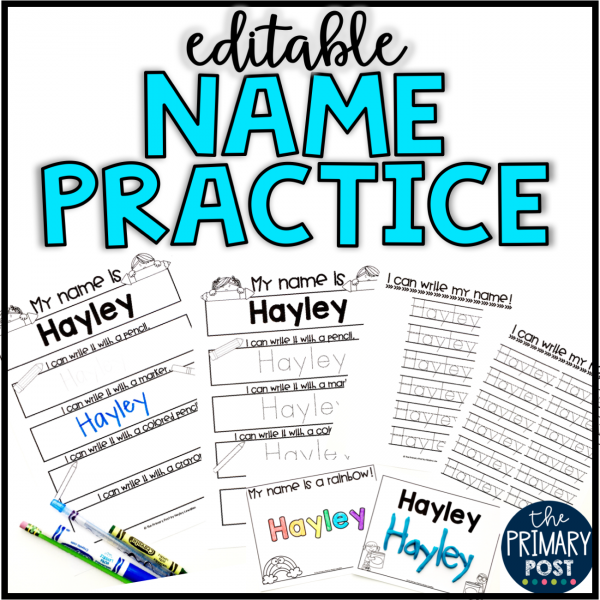 This quick and easy way to teach positional words is super engaging to students! All you need is a solo cup, a bear manipulative, and a permanent marker! To prep this activity, you will need to draw a “door” on the solo cups. We call the cup “Mr. Bear’s House,” so it has a playful meaning to the kids. I used a thick permanent Sharpie like this one. I like to do this activity during math rotations in my small group. That way, I can closely watch each student and how they are manipulating the cup and bear. When I introduce this activity to the kids, I start with just showing the “house.” I teach them that the door is Mr. Bear’s front door- which is very important for them to understand once they start manipulating the bear. Each child has a cup and we work on pointing to the bottom, top, inside, outside, side, front, and back of the house. Once students have the parts of the house down, I introduce them to Mr. Bear. I give them a little time to play with the cup and bear and practice putting him in and out, then we start to manipulate the bear and practice our positional words! Keep reading to see each word we practice. 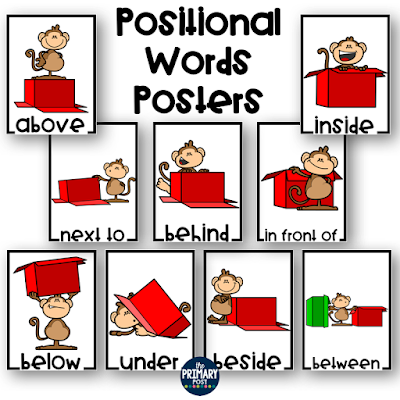 Also- I use these posters in my classroom once I introduce each positional word so students can use them as a reference. Put Mr. Bear behind his house. Put Mr. Bear below or under his house. Put Mr. Bear beside or next to his house. Put Mr. Bear above or on top of his house. Put Mr. Bear inside his house. 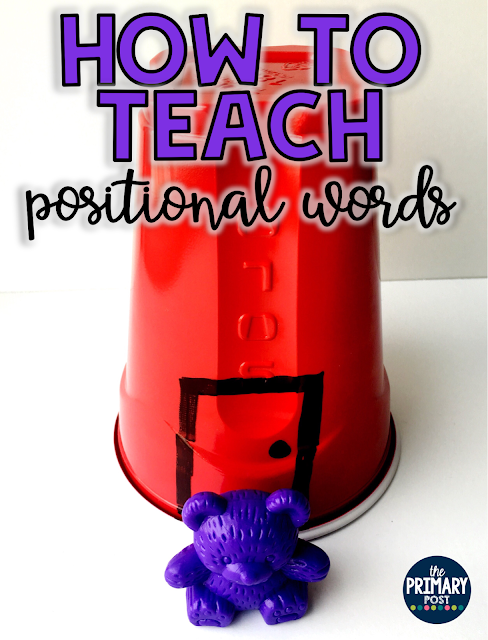 As students are moving Mr. Bear around, I pay attention to who understands each positional word. This standard for math is more of a vocabulary understanding and will just take some practice until they learn the meaning of these new words. 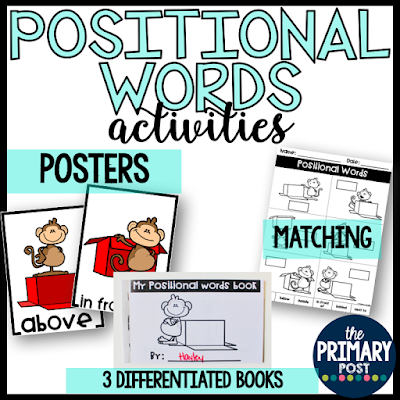 Another helpful tool I use for this skill, is this Positional Words book. 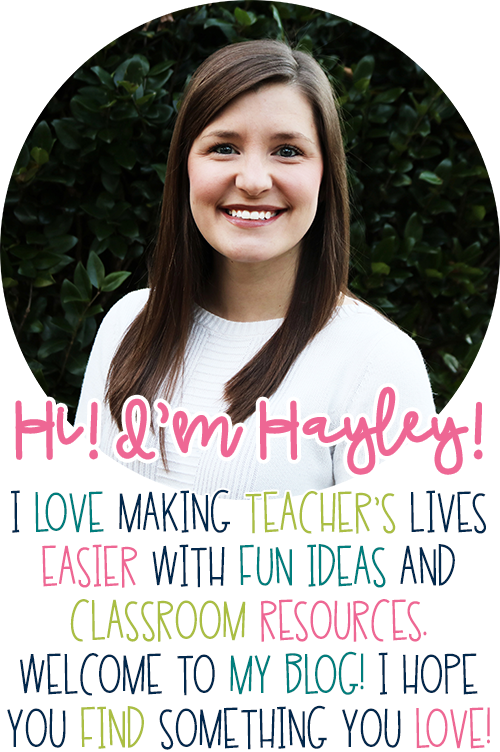 Students can write, trace, or read the book depending on which copy of the book you want to use. In this book, students fill in the positional word as they read. This is also a great activity for Math Small Groups. As a summative activity or center, I have students complete this sheet to show what they know!